2018 EU reissue on 180g LP -The soundtrack from the motion picture Titanic is the highest-selling primarily orchestral soundtrack ever. Back in 1996-1997 the American composer James Horner was approached by director James Cameron, after the musician Enya declined to work on the project. 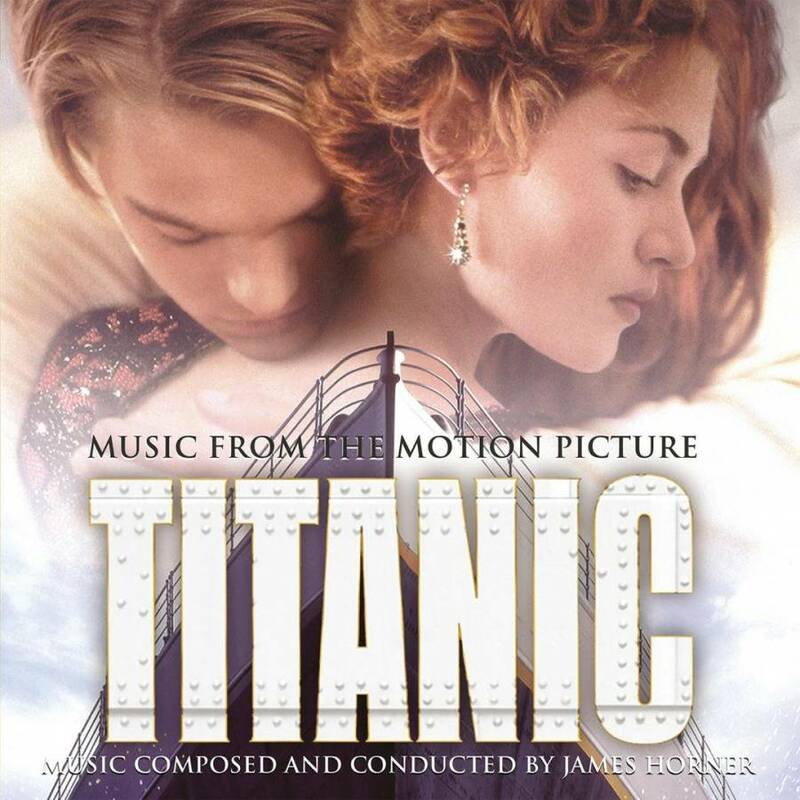 The soundtrack from the motion picture Titanic is the highest-selling primarily orchestral soundtrack ever. Back in 1996-1997 the American composer James Horner was approached by director James Cameron, after the musician Enya declined to work on the project. With the help of Will Jennings he wrote the signature song "My Heart Will Go On", after he chose Céline Dion to sing the song. It became an worldwide smash it and an instant classic. Horner used both electronics as an orchestra to create the layered pieces for the soundtrack. The beautiful cues are interwoven in the story line, from the romance to the tragic downfall of the boat. It's an exceptional score which shows us ho great the composer James Horner was. Titanic is a 1997 American epic romance-disaster film directed, written, co-produced, and co-edited by James Cameron. The movie stars Leonardo DiCaprio and Kate Winslet as members of different social classes who fall in love aboard the ship during its ill-fated maiden voyage. Upon its release on December 19, 1997, Titanic achieved critical and commercial success. Nominated for fourteen Academy Awards, it tied with All About Eve (1950) for the most Oscar nominations, and won eleven, including the awards for Best Picture and Best Director, tying Ben Hur (1959) for the most Oscars won by a single film. With an initial worldwide gross of over $1.84 billion, Titanic was the first film to reach the billion-dollar mark.